bookshopblog.com – The owner Bruce Hollingdrake started from a traditional bookstore called Zeeba Books and started developing an online presence to share his path of owning a bricks and mortar bookstore. As the blog evolved, so to did the voices on the site, and today a number of authors contribute to making the blog rich with great book related content. As the title suggests this is a bookshop blog, and not a blog full of books that you should read. There are some great tips on starting a bookstore, having an online presence, how to self-publish and selling your books online. Again most articles are written by numerous authors so you are getting a large cross-section of opinions and ideas. Oh, and you might even find the occasional book review if you look hard enough. 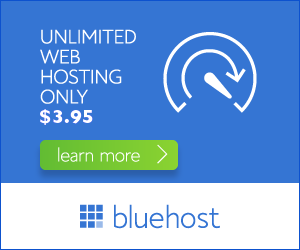 How they Make Money: – Simply Google Ads, other Ad Networks and affiliate links. 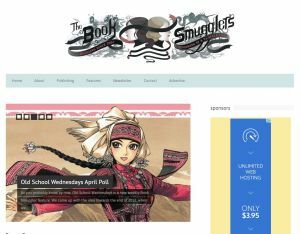 thebooksmugglers.com – Just reading the ‘About’ section of this book blog you get the feeling that Thea and Ana are some crazy cats. The notion of having to smuggle books past people so they stop commenting on the frequency of purchases is hilarious. I can imagine a bedroom filled with books, a side table made of books and a mattress lying literally on a bed of books, but that’s just my imagination running wild. This is a seriously hip book blog, niched down to speculative and genre fiction. The book reviews are comprehensive and with usually more than one reviewer per book. I don’t know how they get through such a volume of work but I could certainly spend weeks just reading through the pages of reviews they have already amassed. But that would leave no time to actually read the books. 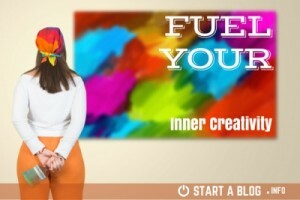 Great blog for those looking to read something a little less mainstream. 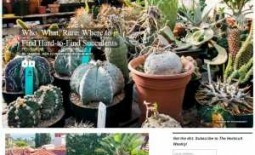 How they Make Money: – Main banner ads Using BlogAds and Goolge Traffic and affiliate revenues from book links. 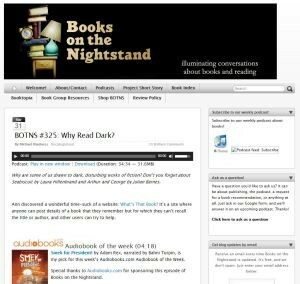 booksonthenightstand.com – Both authors of this blog work in the book publishing industry and use this book blog as a way to continue the conversations about books they love. They also run a weekly book review podcast, so are kept really busy. Oh, did I mention they have 2599 books in their Book Index, with blog posts and podcasts links to most of them. Truly professional and dedicated reviewers and you can kinda’ tell this when you look at the book index, because it’s a little too organised to be created by casual readers. Did I mention they are both in the publishing game. Quality reviews and I also recommend the podcasts are worth a listen. How they Make Money: – There isn’t a lot of in your face advertising going on, which is a pleasant surprise, although you see the occasional sponsors link and they also have a little branded merchandise to sell. 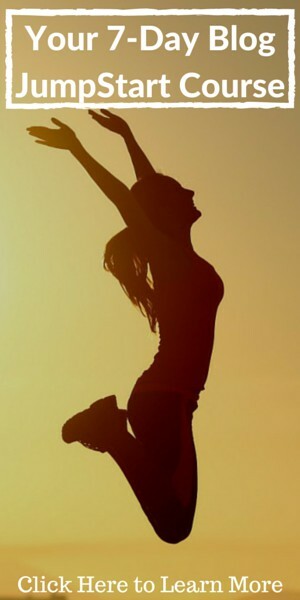 myfriendamysblog.com – Right off the bat, Amy apologises for the blog name (although it’s not that bad) and makes a really important point when choosing a blog name, it’s with you forever. That is a take home message for sure. Amy’s blog is primarily a book review blog and there is quite a variety of genre’s covered. Other than book reviews, Amy dabbles in TV show opinions and reviews, it’s a very personal blog and she reminds the readers and potential marketers regularly. The author is very open to her Christian faith and there are plenty of Christian Fiction books that have been reviewed. Definitely, a girly, girls blog and there is a clear preference to female authors. How they Make Money: – This blog has a few Amazon affiliate links. 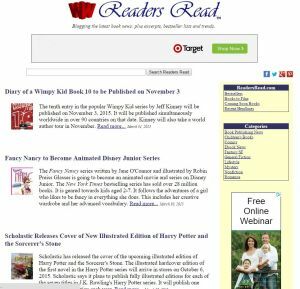 readersread.com – Wow, this book blog is a blast from the past, so I quickly checked the start date and yes, it’s origins are from way back in 1997, so it’s coming up on 20 years of blogging. There isn’t a lot of information about the owner or the author of the posts, although they are informative. It’s a little hard to navigate through the site but I am impressed they review so many different genres including comics. If you’ve been with this site since from the get go, I suspect you are still there, but the newer blog readers probably are looking for a different experience, with more bells and whistles. 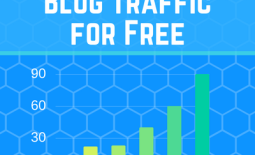 The bottom line is Google doesn’t care about the bells and whistle of a blog and that’s why this site probably still ranks high in the search results. 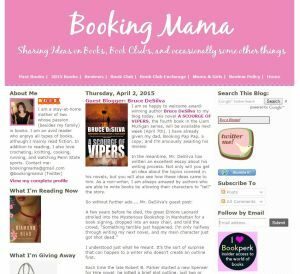 bookingmama.net – Juli P is an avid book lover who loves a good fiction book amongst other things. The site is totally dedicated to book reviews and there are plenty of them. BookingMama has a community hub sort of feel to it, with a book club and book exchange and a great list of books for Moms & Girls. If Julie wasn’t a book blogger I’d suspect she’d find her calling as a Mommy Blogger with a large following. Typically, it’s a females book review paradise and there isn’t a lot for the men, although there are a few children’s books that are clealy unisex. This Author has definitely defined her niche well. But seriously if you can’t find something you’ve read or wanted to read in this extensive Book Review list, then I’d be surprised. How they Make Money: – Some Referral and affiliate links scattered around the sight. 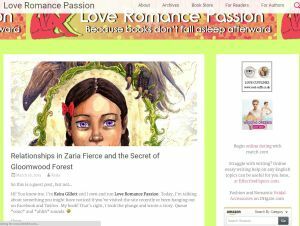 loveromancepassion.com – Err, this blog is about romance novels, didn’t you read the title. But seriously though, Keira Gillett’s mission statement reads ‘Romance Novels: Find it. Read it. Love it. Talk about it.’ Enough said. But wait there is more to this young woman, she has also published her first book in the Young Adult Genre, but still loves a good romance novel, or should I say is an insatiable romance reader. There are plenty of book reviews, which themselves almost read like short romance novels. I’ll leave a proper review up to the romance experts but this young woman has a bright future ahead of her. One to watch. How they Make Money: – Plenty of Amazon links to keep you interested. 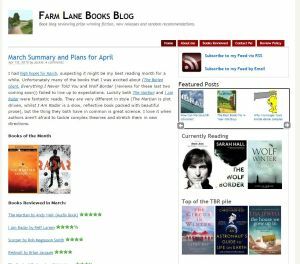 farmlanebooks.co.uk – Farm Lane Books Blog, has a minimalistic design and almost all the images you see are books. No fancy stuff to distract the reader from the purpose of the site, which is clearly a book reviewing blog. Of all the book review blogs, I’ve seen this is clearly a great template for someone wanting to make money in the book review space. 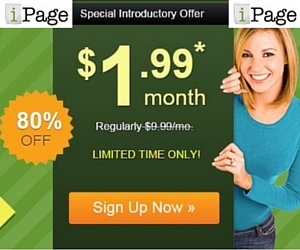 A simple design, good reviews, plenty of books and given time will get oodles of free organic traffic. No SEO optimisation needed, because of the long tail effect you’ll get links from some really creative searches anyway. By looking at the volume of comments, Farm Lane Books has quite a nice community of devoted fans. How they Make Money: – All books are Amazon Affiliate linked and is what I’d expect from some making a living selling books online, plus there are a few sponsored ads. It’s not in your face marketing but this is the easiest way to make a living from your book blog. bookroomreviews.com – Sarah is a Mommy book blogger, if there is such a category, but is almost certainly a reviewer at heart. The book reviews are mainly children’s and Mommy books. The blog is a little heavy on ads, so is a little slow to load, but I didn’t really get distracted when reading the reviews which were very descriptive. As a parent it’s good to know we have a place to visit to get some great book ideas with positive messages throughout. Sometimes with kids books you can’t tell a book by it’s cover, so a few helpful tip off’s are always appreciated. How they Make Money: – There is an extensive monetisation strategy going on in the back end for this book blog including:- Banner Ads, Advertorials, Product Reviews, Site Affiliations and standard affiliate links. 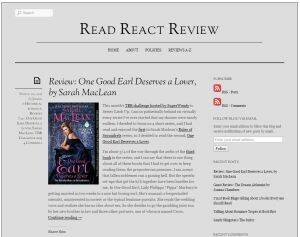 readreactreview.com – Jessica Tripler (pen name) is the author at Read React Review. She prides herself on being a one woman, all singing and dancing book reviewer with an Ad Free Book Blog. Having started reviewing romance novels she has since branched out into other genres of fiction and non-fiction. It’s clear Jessica doesn’t read as much as she would like but has already amasses over 250 book reviews on her blog and given the age of the blog it’s around a book a week, which is a fair run at it. Looking at the extensiveness of the reviews, once reviewed they stay reviewed, it’s quite an impressive read. Maybe there is a touch of professional reviewer in there somewhere. How they could Make Money: – Given it’s touted as being Ad free, it doesn’t mean to say Jessica couldn’t use Amazon Affiliate links as people usually want to buy a book after reading a good review. Although these blogs aren’t in my little black blog book, some or them will soon be. I must have the best job in the world discovering and documenting the world of blogging. It’s a massive space and apparently there is a new blog born every 3 minutes, although I have no statistics on how may die. One Book Review Blog that I didn’t review but is still worth a mention is Midwest Book Review which has been running since 1976 and actually been on the Internet since 2002. Great Job! One blogger reminded us that choosing a blog name is a very important step when starting a blog. Your blog is your Brand and sure you can change it at any time, but it’s hard to make all that Google love follow you to your new site. It’s possible but time consuming. The take home is that Book Blogs are the perfect place to use your Amazon Affiliate links effectively, unless of course you don’t like what Amazon has done to the corner bookshop. In fact the corner bookshops working off reputation based experiences are more likely to survive than the big behemoths trying to compete on low margins and high volumes with Amazon. If you enjoyed the read then please share and spread the love or check out one of my other A-Z Popular Blog Site reviews. 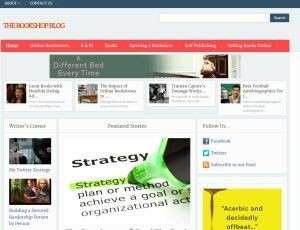 Share the post "10 Top Book Blog Sites worth reading and how they Make Money"